Marklin High-Efficiency Motor Conversion Set. Marklin 60944 High-Efficiency Motor Conversion Set. 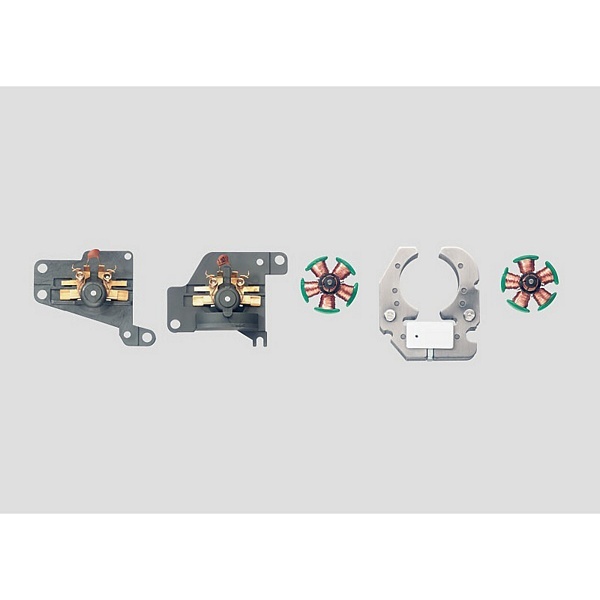 This set is for converting many Marklin H0 locomotives with larger design flat-style commutator motors to the five-pole, high-efficiency motor. The set consists of a high-efficiency motor in different designs and installation hardware.